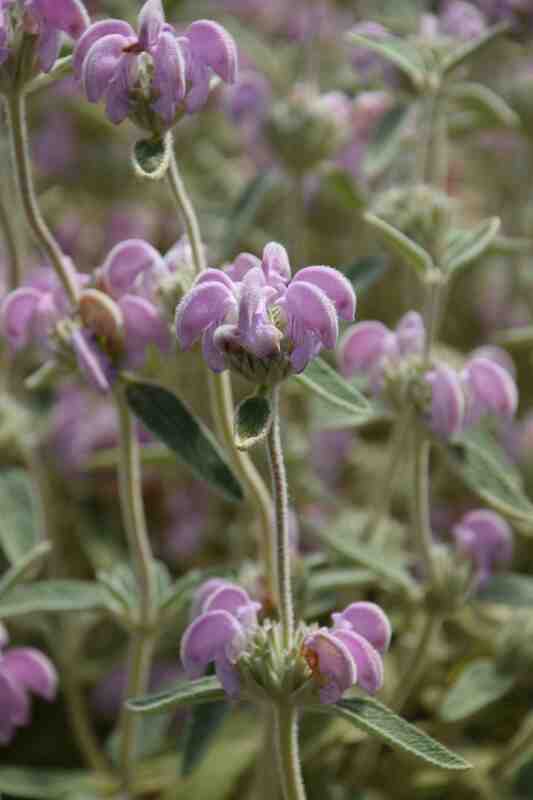 Phlomis are useful plants for sunny, dry borders where other plants struggle. Their furry leaves are perfectly adapted to survive in arid climates, the thick hairy coating protecting the leaves from hot sun. Although not hardy in very cold climates, especially if the soil is heavy or wet, they are not difficult to grow and they quickly make large clumps. Upright at first, they sprawl after a year or two and it is this habit of lounging all over the border that I find rather offensive about them – rather like being at a party where one of the other guests keeps touching you and invading your personal space. It is just as well that you can give a phlomis a trim in spring to try to keep it where you want it. Even so, these are fast growers and not always long lived. Fortunately they are readily propagated by summer cuttings, seed or, with the herbaceous kinds, from spring division. The other reason why they don’t make it into my ‘essential’ list is that most have flowers in shades of yellow; but not bright yellow – rather brassy or mustard-yellow. There is nothing wrong with that but grey leaves and mustard flowers don’t quite do it for me, especially on a dull, wet day when silvery foliage is more lead than silver. So I was blown away by beautiful P. italica at Mount Congreve. This native of the Balearic Islands has bright, pretty grey leaves and upright stems of marshmallow pink flowers in whorls up the stems, just ready for toasting. Like other phlomis, the whorls of calyces are attractive after the flowers drop and as the stems dry. This needs a dry soil and full sun and it can be damaged a bit by winter could but then you can cut it back hard in spring and the rush of new foliage is especially good. I agree! What a beauty! I’ve been trying to track one down for months. It’s been on my wish list since seeing it on a fellow bloggers post. It is gorgeous. I have one in ‘death row’ which I hope will survive until I get it planted. I can’t agree though regarding P. russeliana & the shade of yellow. Mine is definitely a very nice primrose yellow. 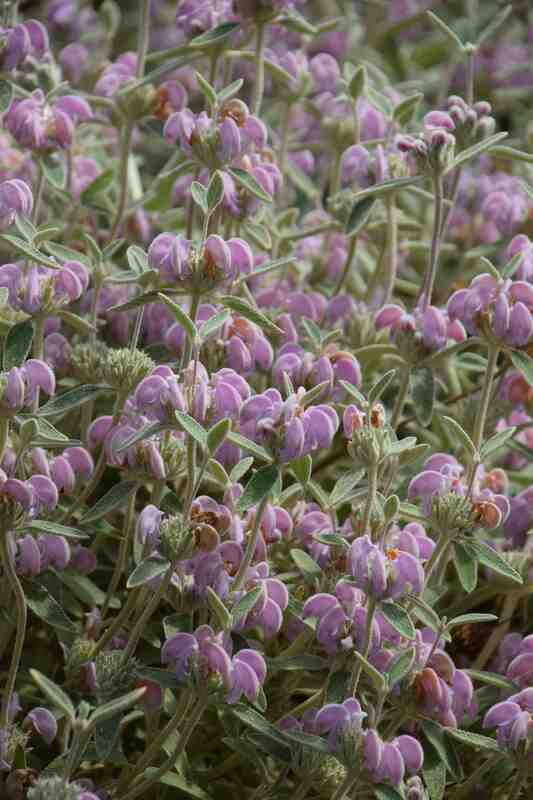 It combines v well with Nepeta & Sysinchrium. The shrub P. fruticosa, which I also grow is a less attractive & more strident yellow I must say. Well maybe it was me that was a bit harsh! I am not that familiar with seeing P. russeliana in so many places. Perhaps the one I have is a named variety & a paler colour than the usual!